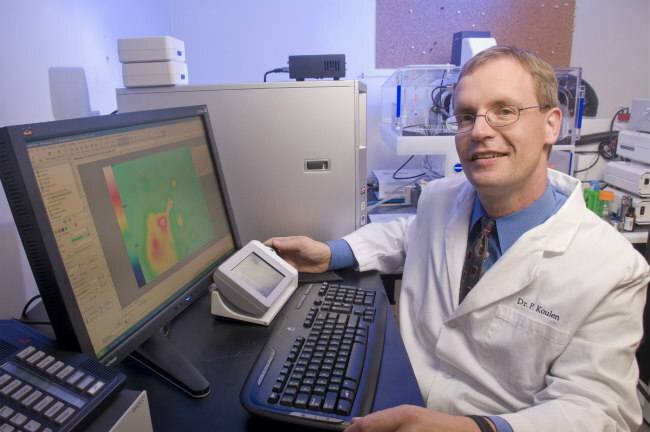 A recent contribution to the UMKC Foundation from the family of former School of Medicine faculty member Larry Pibenga, M.D., will support a research study on corneal calcification, led by Peter Koulen, Ph.D., endowed chair and co-director of vision research. 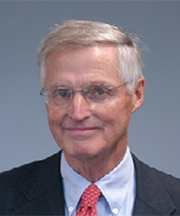 Colleagues who knew Larry Piebenga, MD, speak of him with true regard as both a mentor and role model for medical research, education and patient care. A legendary ophthalmologist and teacher at UMKC, Piebenga was a pioneer for developing cornea and cataract therapies. In memory of Piebenga, his family has made a contribution to the UMKC Foundation to support a research study on corneal calcification, led by Koulen. The basic science study hopes to find ways of more precisely assessing corneal calcification and determining how changes that occur from the condition affect the ability to accurately diagnose eye diseases. Koulen said he is excited that Piebenga’s family is making this gift to honor his legacy and hopes it inspires others to honor their loved ones with similar tributes. He says their contribution also fills a critical gap for research funding as public funds are very competitive and are dwindling. “Donor gifts for small, initial studies such as this can lead to major funding for larger studies down the road,” he says.